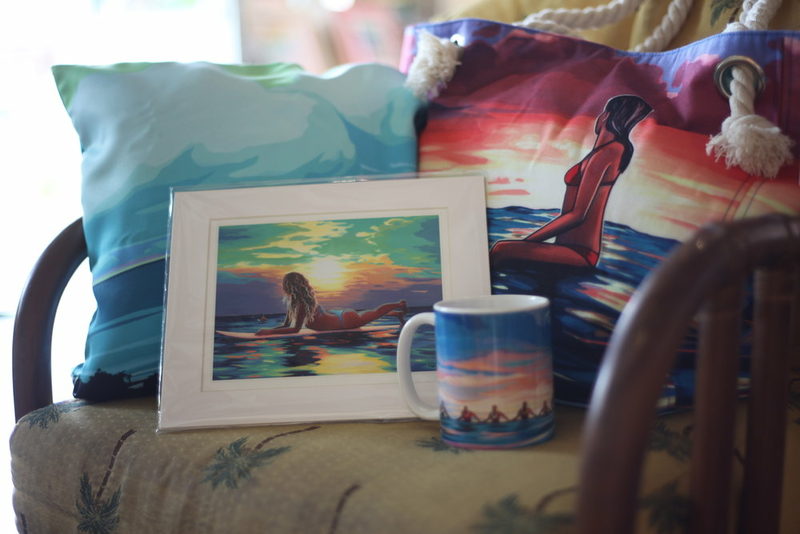 A North Shore artist with a passion for Hawaii, surf, art and design. With a bright, graphic style, SHINN documents daily life in Hawaii through her work. She steers clear of the familiar postcard imagery and, instead, focusses on smaller moments that are telling of the larger experience. Her fine art and commercial projects are unified in both style and theme; Shinn is continually expanding her hand-painted world at the intersection of modern Hawaii and surf culture. She hopes to contribute to a new era of modern Hawaiiana and surf art that respects the history of the genres while re-imagining the landscape for a new audience.